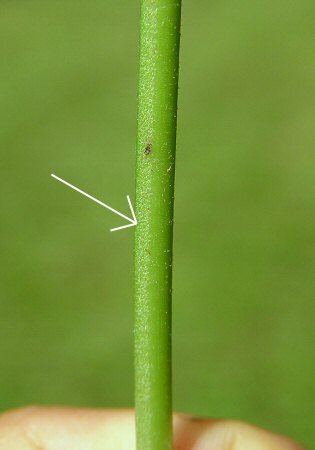 Arrow shows line of pubescence. Habitat - Disturbed sites, waste ground, old homesites. Also cultivated. Other information - This striking yet weedy species can be found scattered throughout much of Alabama. 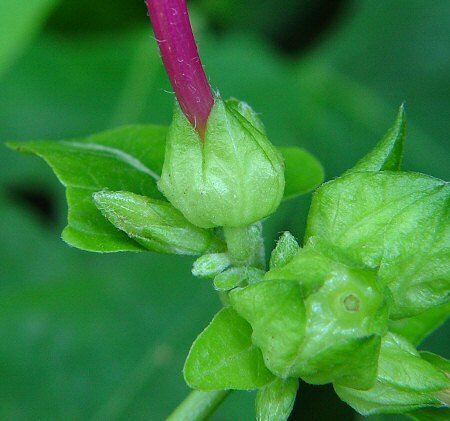 The plant is easy to identify becasue of its opposite leaves and big pink flowers. The flowers open at or around 4:00pm, hence the common name. 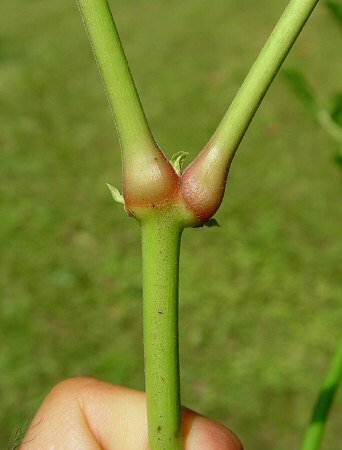 The pubescence of the stems is in one or two vertical lines between the swollen nodes. 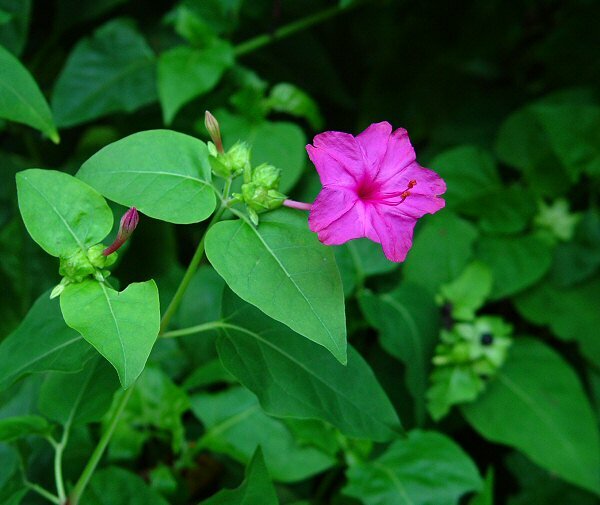 The genus name Mirabilis derives from the Latin "mir(ab)" meaning "wonderful" referring to the beautiful flowers. 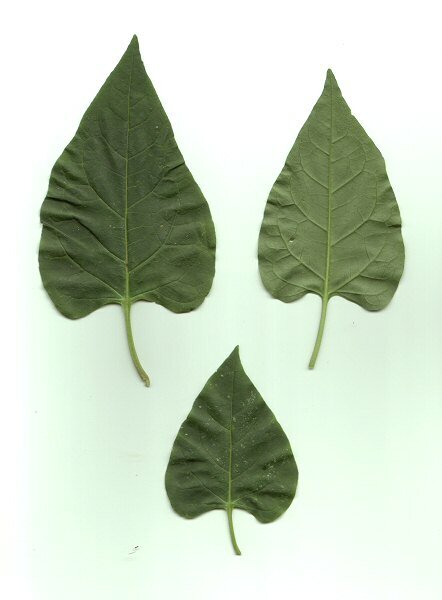 The species epithet jalapa is an old Central and South American generic name. 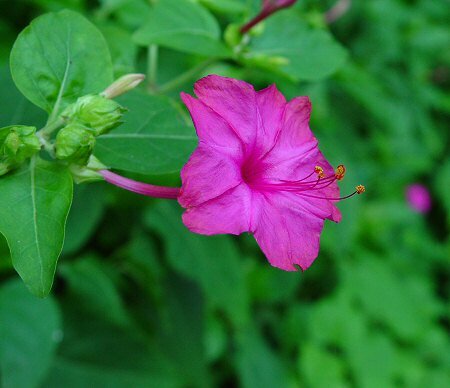 Jalapa is the Spanish word for the dried root of a Mexican vine, Ipomoea purga. The name is given to any plant that has similar roots. 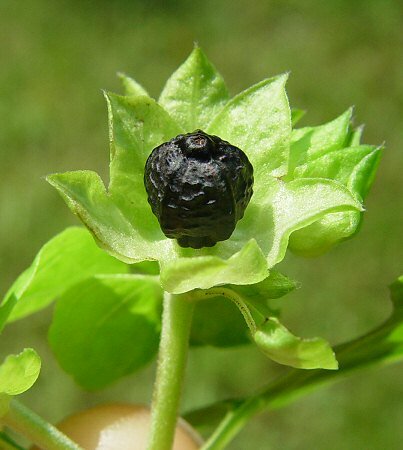 The city of Jalapa, Mexico imported and exported the plant and thus the plant took its name. Photographs taken off Lee Rd 54, Lee County, AL., 8-13-04 and 8-21-05.